Right now, priority one is to get out the vote for the advisory vote on May 15. 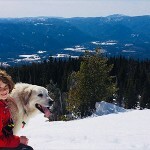 1: Visit www.voteforscotchmanpeaks.org to learn more about the issue and when and where to vote. 2: Visit Vote For Scotchman Peaks on Facebook and share it to your own page so all of your Facebook Friends can be in the know as well. 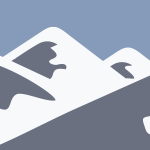 Vote in favor of the Scotchman Peaks Proposal! Wilderness designation requires an act of congress. Congressional action requires public support. Your support is important to preserving and protecting the Scotchman Peaks! There are many ways in which you can show support for the Scotchman Peaks. Begin by subscribing to our free newsletter and share your interest in the Scotchman Peaks with your friends, family and neighbors. Make you voice heard by write a letter to your local newspaper or to your congressman. Consider a donation of time by volunteering for one of our projects. Or consider a one time or monthly financial contribution. While our campaign is assisted, in part, by generous contributions from foundation donors, assistance from individuals such as you are vital to our efforts. Together we can achieve our goal. Volunteers are the backbone of the Friends of Scotchman Peaks Wilderness. Without volunteer efforts, we wouldn’t have a board of directors, trail crews, Wolverine and Weed Warriors, botanical survey crews, or outreach folks in booths at fairs, film festivals, and other public events. 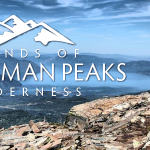 In other words, without our volunteers, Friends of Scotchman Peaks Wilderness would not exist. Learn more about current volunteer opportunities (as well as all of our hikes and classes) on our events page and find our volunteer sign-up form here. Our outreach and educational efforts are funded, primarily, through donations from individuals like yourself. You do NOT have to donate to be on our support list; however, if you would like to help, your donation is tax deductible. If you wish to consistently support us financially, a recurring donation program may be your best choice. You may give weekly, monthly, quarterly or annually. Contributions help to fund our education and outreach programs including the publication of our newsletter, booklets, informational inserts and other support material, displays and presentations. Donate today and help us widen our circle of Friends! Get some really cool T-shirts, hoodies, calendars, books, and many more fun items by visiting our Store page – a portion of the proceeds from all items go directly into our donation fund. Are you a webmaster or website owner? Put a link to us on your site using one (or more) of our lovely images. Click on any image to get the HTML code to copy & paste into your site. Or if you need a different size, let our webmaster know and she’ll create a custom image, just for your website! Highlight the code in the box below, then Copy and Paste it into the spot on your website you’d like to display our image. Or click to send email to: Info@ScotchmanPeaks.org.